Twelfth Step Ministry is proud to Announce that Darryl Strawberry will be the Keynote speaker for our 10th Annual Family Dinner Fundraiser. 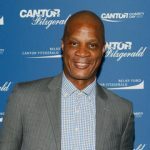 Darryl Strawberry is an ordained Christian minister and author. Born in Los Angeles, California in 1962, Darryl had a rough start to life growing up in South Central with an abusive, alcoholic father. He was thrown into the spotlight at a young age when he signed with the New York Mets in 1980 directly out of high school. 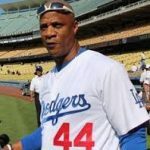 During his 17-year career in Major League Baseball, Strawberry played for the New York Mets, Los Angeles Dodgers, San Francisco Giants and New York Yankees. He’s an eight-time All-Star, a four-time World Series Champion and a National League Rookie of the Year. While baseball is no longer the primary focus of Darryl’s life, his years on the diamond helped form who he is today. Today, Darryl and his wife Tracy are passionate Christian pastors who help people restore their lives and relationships through the power of God and the process of change. They accomplish their mission of helping others through their foundations, including Darryl Strawberry Foundation, Fight for Autism and Strawberry Ministries. Together, they have advocated for Action for Autism, youth and community outreach, Christian healing and support for people struggling with substance abuse and mental health issues. 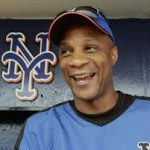 Darryl Strawberry and the team at Oglethorpe, Inc. created Darryl Strawberry Recovery Center to help people live better lives by breaking free from the chains of addiction and mental health issues.